Certifying Bartenders from Surrey and around Vancouver since 1981. Fine Art Bartending has had Greater Vancouver’s best bartending course for more than 35 years now. We take the time to cover the essential details needed to get your bartending career kickstarted. Surrey has some great establishments all in need of great bartenders. Get trained up today and learn how to make the most tips. In less than two weeks, we train you how to bartend and break into the hospitality industry. Fine Art Bartending gives you the know-how and the confidence to get hired, while developing your skills behind the bar. With industry feedback, we keep our drink recipes current and accurate. 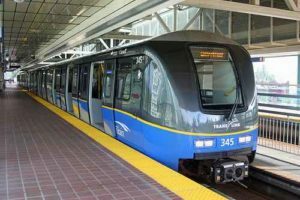 Jump on the Skytrain and head downtown. 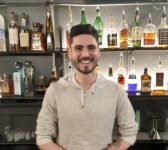 Learn how to bartend in a realistic bar-like atmosphere. The bartending course at Fine Art Bartending is very hands-on. We say “Practice, practice, and more practice makes perfect” when behind the bar. We take a very practical approach to teaching quality drink making, which also ensures you keep your work space clean and presentable. About two-thirds of each class should be behind the bar mixing drinks. We want you to hone your skills while interacting with customers. Note that we aren’t open to the public for strangers to wander in, your fellow students or the instructor assumes this role. Each class is taught in our downtown Vancouver location within blocks of Vancouver’s best bartenders in Gastown. Our instructors are working bartenders, who also know how to make each class lots of fun. To be a decent bartender, you need to know a little history. While making the drinks, the instructors will point out the origin of different cocktails. You learn how each spirit is made. We take a third of class time to point out essential spirits, beer and wine knowledge. Bartending is all about the stories, so our instructors share some of those experiences. After you finish the program and get a bar job, you will have something to look forward to. The full 32-hour Bartending Course is eight days of hands on bartender training. We have you practice your cocktail making behind a real working bar. In the past this school has been a pop-up bar too! Note that if you are coming into town for our weekend classes, we cover all the same material… but now two days per week over 4 weeks. 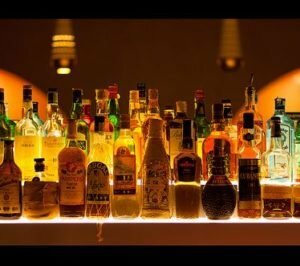 Essential upselling tips on how to increase bar sales, which means more tips for you! We focus class time on practicing being a bartender and cocktail making. You will have the opportunity to work on technique and improve your customer service, which then leads to making more in the way of tips! Get your Serving It Right certificate online in a few hours anytime. ​Serving It Right certification is necessary before serving or selling drinks in British Columbia. We spend a little time outlining responsible service and how to get your Serving It Right. Every couple of weeks we start new DAY and EVENING bartending classes. The WEEKEND classes start about every four weeks, depending on holiday schedules. Check out all our upcoming class start dates and pick a start date that works for you! Don’t see your preferred start date on the listed class start dates? Send us an email, and we will promptly reply. Just ask. You might have noticed that we are Vancouver’s best bartender training school. We have held that distinction for more than 35 years, and if you spend any time reading our reviews you will see why. Past students drop by the school to tell us about how much fun they had in the course, and the jobs they landed. We want you to succeed out there in the hospitality world, and the only way to do well is through knowledge and confidence. Our course arms you with the tools you need to get hired, and make money! ⭐⭐⭐⭐⭐The course definitely helped me to get a job as a bartender. I have also gotten a lot more responsibility and respect at serving jobs because management knows that I can also work the bar if need be. With a general understanding of cocktails, I am able to assist customers better when they are choosing what to drink. The course was absolutely worthwhile in terms of getting jobs in the service industry. It has also given me the opportunity to impress people with my knowledge of alcohol production or drink recipes. I would recommend it to anyone looking to boost their resume and/or knowledge of drinks. ⭐⭐⭐⭐⭐I’m so glad that I took the bartending course at Fine Art Bartending School of Vancouver. Coming out of it, I felt very confident with my bartending skills. The learning material offered by the school was incredible and the range of drinks covered was so varied that I feel I could work in any situation. The class has allowed me to feel more confident and I gained a lot of fundamental knowledge. I would like to thank the instructors for taking the time and patience in guiding us to become professional bartenders. 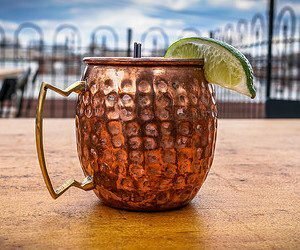 ⭐⭐⭐⭐⭐I’ve always wanted to become a bartender, and for me, Fine Art Bartending School was a no-brainer. Not only do they have a great reputation but you get real bar training from real bartenders who are also great people. The training was thorough and comprehensive but also enjoyable and in an atmosphere that is conducive to bartending. They gave me all the skills and knowledge that I needed to not just become a quality bartender but also how to obtain a quality position. I’ve since been hired on full-time at The Baron Bar and Grill at the Abbotsford Airport. It’s been going great and I owe a lot of thanks to Ryan and Suzanne from Fine Art Bartending School. There’s simply no way I’d have had similar results if I didn’t take this course.